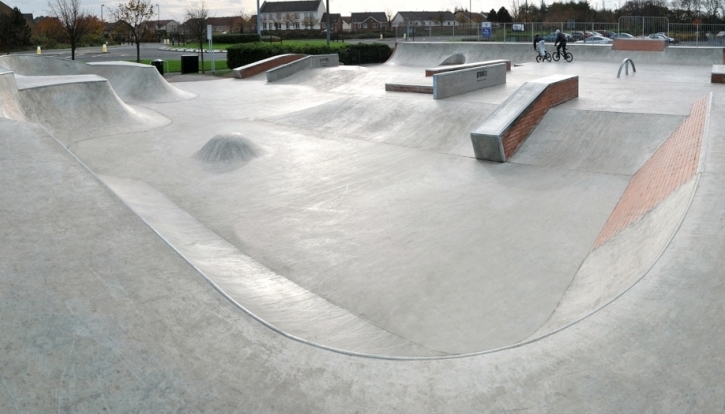 North Shields skatepark was designed and built by Gravity and opened in 2010. 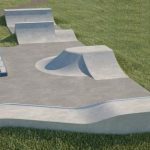 It is a large all concrete skatepark and it features both street and transtions all mixed in together. 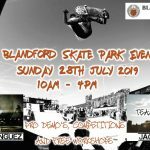 The skatepark opens up on one corner with two speed bowls, one with an over vert that is hipped with a volcano, and the other with an extension that is joined onto a bowled edge that folows around the edge and transitions into a bricked flat bank. This side then opens up onto a flat area with a pump bump in the middle and then two flat banks that lead up to the upper level. The upper level features a lot of street obstacles such as hubbas, rails, ledges, a manny pad and a rainbow rail and the area is then finished off with a long quarter pipe as a return ramp with an arch gap and an extension as well. 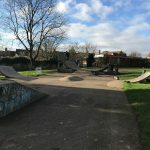 North Shields skatepark is a great local park with a decent selection of obstacles that have been arranged is a well planned way. The surfaces are also smooth and fast, making it a great place to come and practise the basics as well as if you are more experienced and looking for a more challenging skate. Meadow Well metro station: Exit the station onto Bridge Road South and head south until the roundabout. 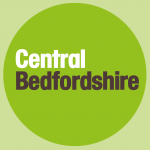 Here turn left onto Howdon Road and follow it until the next roundabout and North Shield skatepark will be in sight. Leisure Centre bus stop: Exit the bus onto Howdon Road and North Shields skatepark will be in sight.